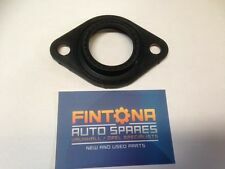 Original BOSCH Diesel Fuel Injection Nozzle Holder Gasket Washer/Injector Shim F00VC17503. THICKNESS : 1.5 mm. FOR VW TRANSPORTER T4. This is an original quality part manufactured by Elring. FOR VW TRANSPORTER T5. This is an original quality part manufactured by Elring. Suitable for engine codes Y17DT / Z17DTH / Z17DTL. This is an original quality part manufactured by Elring. FOR VW GOLF VII. FOR SKODA OCTAVIA 5E. This is an original quality part manufactured by Elring. Suitable for engine codes Y17DT / Z17DTH / Z17DTL. Vauxhall Part Number 97305714. This is an original quality part manufactured by Elring. FOR VW CADDY III. This is an original quality part manufactured by Elring. FOR VW TOUAREG 7L. FOR VW PASSAT 3C. This is an original quality part manufactured by Elring. Q18522Q, Q18728Q. FOR VW ARTEON. This is an original quality part manufactured by Elring. FOR VW PASSAT 3C. This is an original quality part manufactured by Elring. This is an original quality part manufactured by Elring. This is an original quality part manufactured by Elring. FOR VW POLO III. FOR SKODA OCTAVIA 1Z. This is an original quality part manufactured by Elring. This is an original quality part manufactured by Elring. Multiple choices exist for:MITSUBISHI OUTLANDER 2.0 Injector Seal Kit. FOR MITSUBISHI OUTLANDER. FOR VW CRAFTER 2F. Multiple choices exist for:VW CRAFTER 2.0 Injector Seal Kit. This is an original quality part manufactured by Elring. PART CHOICE ALERT. Vehicle compatibility. FOR VW MULTIVAN T5. This is an original quality part manufactured by Elring. 1.2 / 1.4 / 1.9 / 2.0 TDI. Audi (A2/A3/A4/A6) 1.2/1.9/2.0 TDI. Ford (Galaxy) 1.9 TDI. Skoda (Fabia/Octavia/Superb/Roomster) 1.4/1.9/2.0 TDI. Volkswagen (Caddy III/Bora/EOS/Lupo/Fox/Golf IV V/Golf Plus/Jetta III/ Multivan V/New Beetle/Novo Fusca/Passat/Rabbit/Touran/Vento/Transporter) 1.9/2.0 TDI. This is an original quality part manufactured by Elring. FOR VW GOLF VI. VW Golf V 2.0 TDI 16V (2003 - 2009) 103kW. Audi A3 Sportback 2.0 TDI 16V (2004 - 2013) 103kW. Audi A3 Hatchback 2.0 TDI 16V (2003 - 2012) 103kW. VW Golf PLUS 2.0 TDI 16V (2005 - 2013) 103kW. VW Touran MPV 2.0 TDI 16V (2003 - 2010) 103kW. FOR SKODA SUPERB 3U. This is an original quality part manufactured by Elring. This is an original quality part manufactured by Elring. FOR VW JETTA III. FOR VW CARAVELLE T5. This is an original quality part manufactured by Elring. FOR VW BORA. This is an original quality part manufactured by Elring. FOR AUDI A4 8H. This is an original quality part manufactured by Elring. Q19171Q, Q29978Q. FOR SKODA YETI. This is an original quality part manufactured by Elring. This is an original quality part manufactured by Elring. Multiple choices exist for:VW CADDY 2.0 Injector Seal Kit. FOR VW CADDY III. PART CHOICE ALERT. Vehicle compatibility. Full Gasket Sets. Belt Tensioner Wheels & Bkts. Suspension Ball Joints. Rear Lights. Front Exhausts Cats. Estimates can be provided beforehand but prices may differ upon ordering. The compatibility is only a guide. Full Gasket Sets. Belt Tensioner Wheels & Bkts. Suspension Ball Joints. Rear Lights. Material: Copper. Front Exhausts Cats. Estimates can be provided beforehand but prices may differ upon ordering. The compatibility is only a guide. FOR ALPINA D3 E92. This is an original quality part manufactured by Elring. Vehicle compatibility. Part specifications. This is an original quality part manufactured by Elring. Multiple choices exist for:JEEP PATRIOT 2.0 Injector Seal Kit. FOR JEEP PATRIOT. FOR SEAT ALTEA. This is an original quality part manufactured by Elring. Part specifications. FOR VW CRAFTER 2E. 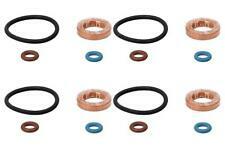 Multiple choices exist for:VW CRAFTER 2.0 Injector Seal Kit. This is an original quality part manufactured by Elring. PART CHOICE ALERT. This is an original quality part manufactured by Elring. Equivalent Part Numbers. Part specifications. This is an original quality part manufactured by Elring. FOR PEUGEOT 207. This is an original quality part manufactured by Elring. FOR AUDI A3 8L. This is an original quality part manufactured by Elring. Vehicle compatibility. Part specifications. This is an original quality part manufactured by Elring. FOR VW JETTA IV.